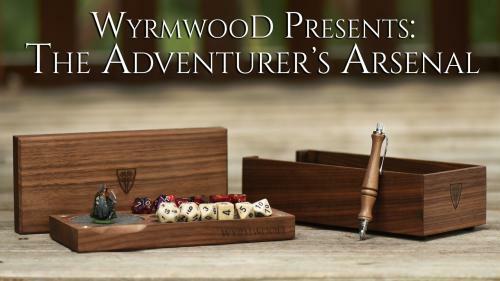 Wyrmwood is a small Massachusetts-based company that offers artisan quality gaming accessories to gamers who value craftsmanship. 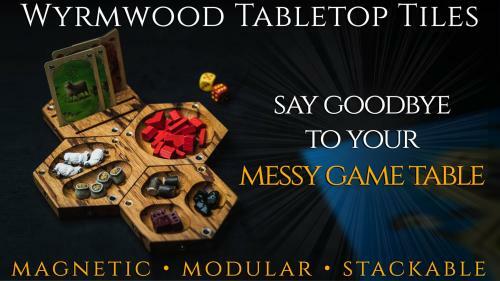 Founded by Douglas Costello, Ian Costello, and Edward Maranville, Wyrmwood exists to bring your tabletop experience to the next level. Douglas Costello and Ian Costello both completed fine furniture apprenticeships and have worked on museum quality custom and reproduction furniture. Ed Maranville is a gamer's gamer. The results of their collaboration have been very well received. Gamers want quality. 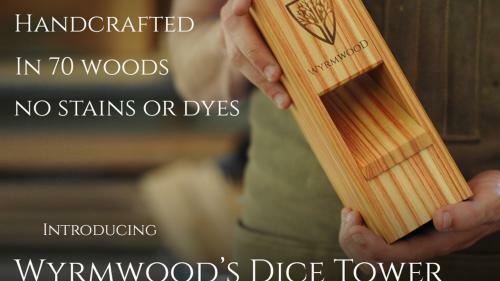 And that is what Wyrmwood is here to deliver: uncompromising old world craftsmanship brought to your table. We're here on Kickstarter asking for your help to bring our vision to as many people as possible, and we hope you'll be as excited as we are about it! 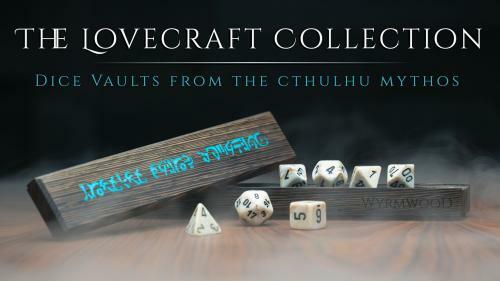 Store your dice in a Dice Vault etched with forbidden symbols inspired by the madness of horror legend H.P. Lovecraft's Cthulhu Mythos. 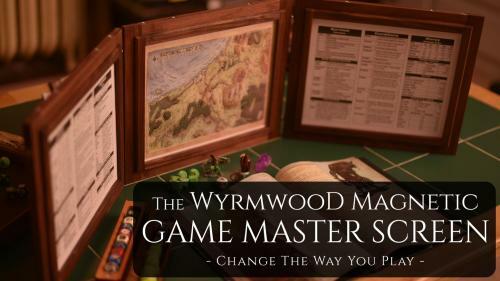 From Wyrmwood: a GM Screen that will change the way you play your favorite roleplaying games. It is the only screen you'll ever need. 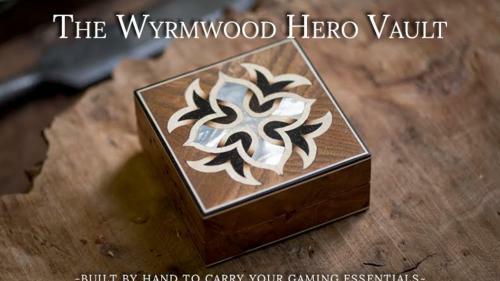 Wyrmwood Dice Trays & Dice Vaults for WARMACHINE & HORDES! Your love of gaming lasts a lifetime. We believe your accessories should too. 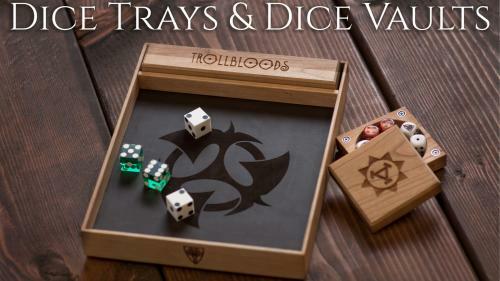 Quality Dice Trays & Dice Vaults for WARMACHINE & HORDES! 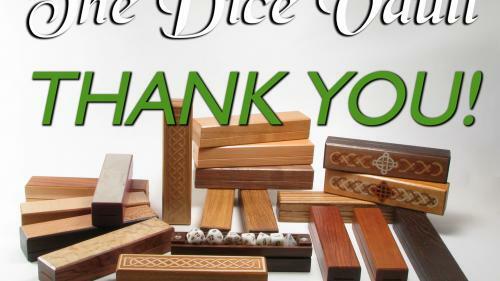 Your personal carrier for your miniature or dice available in 75 different woods with optional engravings. 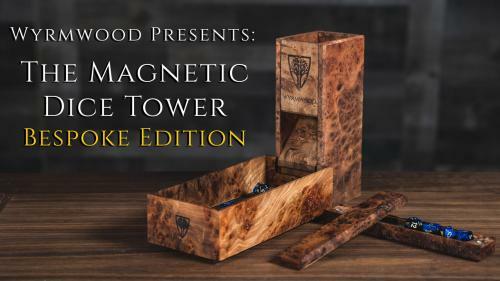 Wyrmwood, the craftsmen that brought you the Dice Vault, are pleased to present their portable Magnetic Dice Tower system.